The Enforcement Directorate (ED) on Friday carried out searches against former ICICI bank CEO Chanda Kochhar and Videocon promoter Venugopal Dhoot in connection with a bank loan fraud case, officials said. They said the raids are being carried out in at least five office and residential premises in Mumbai and a few other locations. The agency had registered a criminal case under the Prevention of Money Laundering Act (PMLA) earlier this month against Kochhar, her husband Deepak Kochhar, Dhoot and others to probe alleged irregularities and corrupt practices in sanctioning of Rs 1,875-crore loans by the ICICI bank to the corporate group. A team of ED sleuths, assisted by the police, is looking for more evidences in the case and the raids were launched early Friday morning, officials said. 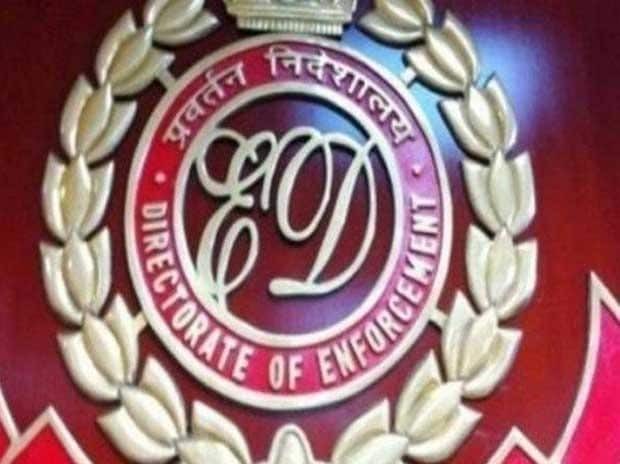 The ED's PMLA case was filed after taking cognisance of a CBI complaint lodged in the matter last month. The CBI had named Chanda Kochhar, Deepak Kochhar, and Dhoot and his companies -- Videocon International Electronics Ltd (VIEL) and Videocon Industries Limited (VIL). The central probe agency also named Supreme Energy, a company founded by Dhoot, and Nupower Renewables, a company controlled by Deepak Kochhar, in the FIR. It is alleged that Dhoot had invested in Deepak Kochhar's company Nupower through his firm Supreme Energy a quid pro quo to loans cleared by ICICI Bank after Chanda Kochhar took over as the CEO of the bank on May 1, 2009. The ownership of Nupower and Supreme Energy changed hands through a complex web of shared transactions between Deepak Kochhar and Dhoot, the CBI alleged.